Homeowners need gutters that work properly. Without them, rain pummels the fronts of their homes, soaking siding and pooling at the foundation. Water collecting around the foundation of a home can lead to structural problems. 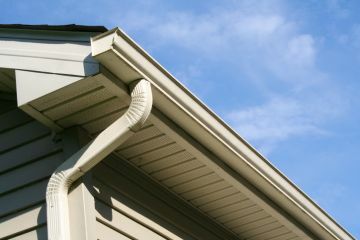 Yes, gutters are definitely needed and LYF Construction, your local siding contractor specializes in replacing gutters. If your gutters are failing, call (832) 304-6764 for a free quote on replacement. Cracks and holes - Cracks create channels for water to flow into, which could cause damage to your siding and foundation. Your siding is peeling - if paint is peeling, it's probably got a water problem, which likely came from your gutter not property diverting rain water. Rot around windows - When water cascades down over window sills, paint eventually chips, and then wood begins to rot. Often, inadequate storm drainage is the culprit. Mold or Mildew - When moisture is allowed to accumulate, the next occurrence is often microbial growth. Not just unsightly, mold poses a real health hazard. If you are noticing any of the above, call the gutter replacement specialists at (832) 304-6764 for a free quote. LYF Construction will alleviate your gutter problems for good. When you call LYF Construction to replace your gutters, you'll be getting true professionals who stand by their work and their quality materials used. For over 16 years, we've been researching, studying and perfecting gutter replacement techniques. Gutters are what we do, and we do them right. Our gutters are built for strength, quality and durability. LYF Construction gutter installers take pride in installing gutters that will serve you well. Give us a call at (832) 304-6764 for a quote on replacing your gutters today.